Explanation: What cosmic wallpaper is on the sky? The answer depends on the type of light considered, and for some wavelengths, all the cluttering material in the foreground makes it still unknown. Recently, however, the background in near infrared light was imaged at high resolution by the 2MASS telescope, and confirmed earlier estimates that it is over twice as bright as originally expected. 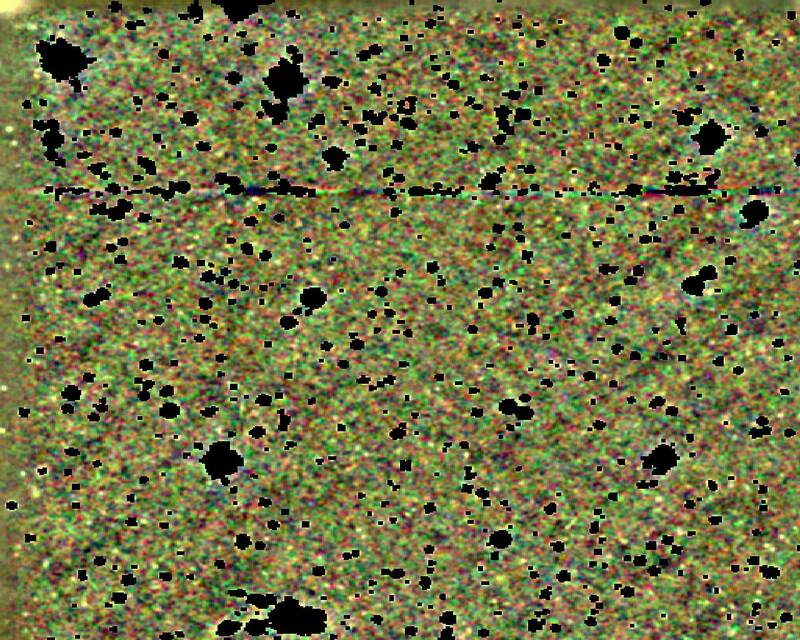 A small section of Cosmic Infrared Background (CIB) is shown above in representative colors. Visible is light emitted from the very first stars and galaxies in the universe, emitted when the universe was less than half its current age. The CIB is more uniform than the present universe since stars were more spread out at early times. The brightness of the background indicates that many stars were forming in the universe between cosmological redshifts of one and seven.